Should You Invest in Pet Insurance? Some pets can live their whole lives with just the basic vet care; no major surgeries, illness, emergency care, genetic conditions or accidents. For many, that is not the case and as pet owners we are faced with huge financial decisions and stress. Think about auto insurance, or our own health insurance, property insurance, etc. We pay our monthly premiums every month and never seem to see the benefit. On the other hand, when something does happen whether its an auto accident, or we have to go to the hospital, or your child needs their wisdom teeth pulled, how grateful are we that insurance will cover a huge portion of the cost! I personally cannot give you the answer you need since every situation is different. But I did come across an article that I think would be of help if you’re not quite sure what to do. 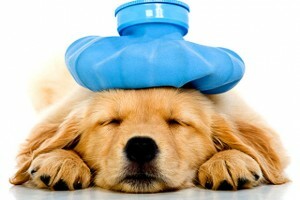 http://www.cnbc.com/2015/01/16/is-pet-insurance-worth-it.html The most important thing is that we are able to provide the medical care that our pet needs throughout their life. 10 Reasons You Should Be a Vendor →← 2015 Was a Success! Meet Virginia Wallen at the Loudoun Pet Expo!